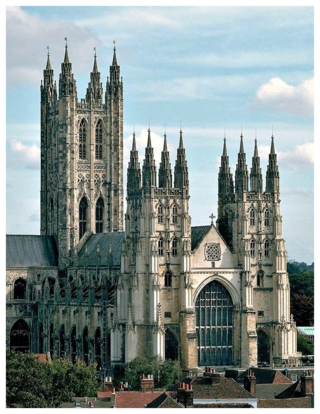 The mighty SPITFIRE was seen at the beginning of A Canterbury Tale. The Supermarine Spitfire was the most widely produced and strategically important British single seat fighter of World War Two serving in every theatre of the war and was produced in more variants than any other British aircraft. The Spitfire was designed by Reginald Mitchell of Supermarine Limited, in response to a 1934 Air Ministry specification calling for a high performance fighter with an armament of eight wing mounted 0.303 inch machine guns. The airplane was a direct descendant of a series of floatplanes designed by Mitchell to compete for the coveted Schneider Trophy in the 1920's. One of those racers, the S.6, set a world speed record of 357 miles per hour in 1929. Designed around a 1,000 horsepower, 12 cylinder, liquid cooled Rolls-Royce PV-12 engine, the Spitfire first flew in March 1935. It had superb performance and flight characteristics with deliveries to RAF squadrons commencing in the summer of 1938. A more radical design than the Hurricane, the Spitfire had a stressed skin aluminum structure and a graceful elliptical wing with a thin airfoil. In combination with the Merlin's efficient two stage supercharger, the Spitfire had exceptional performance at high altitudes. 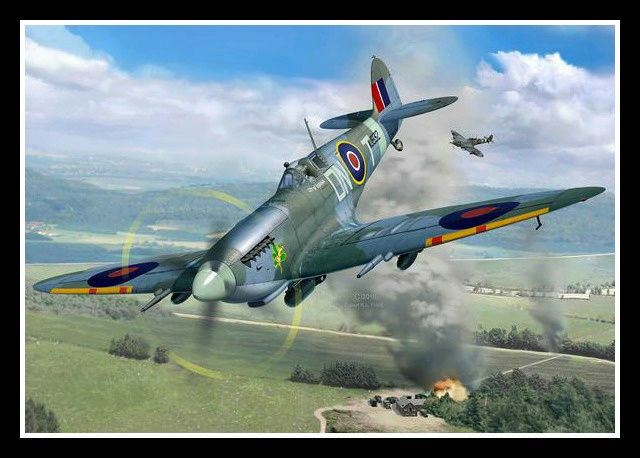 The version of the Spitfire that fought in the Battle of Britain was powered by a Merlin engine of 1,030 horsepower. The plane had a wingspan of 36 feet 10 inches, was 29 feet 11 inches long, and reached a maximum speed of 360 miles per hour and a ceiling of 34,000 feet. 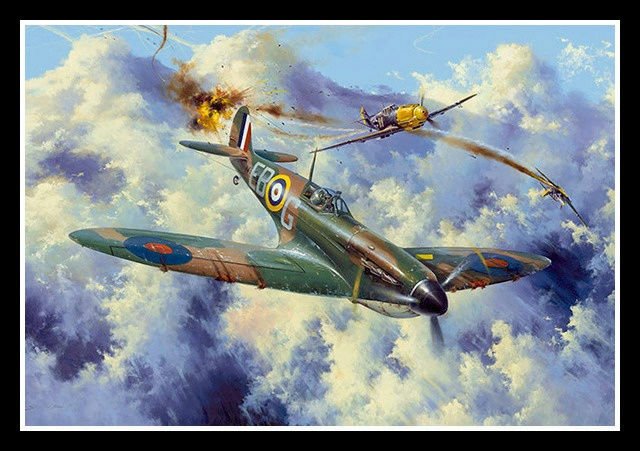 Faster than its formidable German opponent the BF 109 at altitudes above 15,000 feet and just as maneuverable, Spitfires were sent by preference to engage German fighters while the slower Hurricanes went for the bombers. More Hurricanes than Spitfires served in the Battle of Britain, and they were credited with more kills, but it can be argued that the Spitfire's superior high altitude performance provided the margin of victory. Meanwhile, Supermarine Limited was developing more capable versions of the Spitfire driven by progressively more powerful Merlins. The eight 0.303 inch machine guns gave way to four 0.8 inch automatic cannons, and by war's end the Spitfire had been produced in more than 20 fighter versions alone, powered by Merlins of up to 1,760 horsepower. Though outperformed by the German FW 190 upon that aircraft's introduction in 1941, the Spitfire restored parity the following year and eventually regained the advantage. It remained a first line air-to-air fighter throughout the war. Spitfires were used in the defense of Malta, in North Africa, and Italy. They helped to provide air superiority over the Sicily, Italy, and Normandy beachheads and served in the Far East from the spring of 1943. Fighter bomber versions could carry a 250 or 500 pound bomb beneath the fuselage and a 250 pound bomb under each wing. 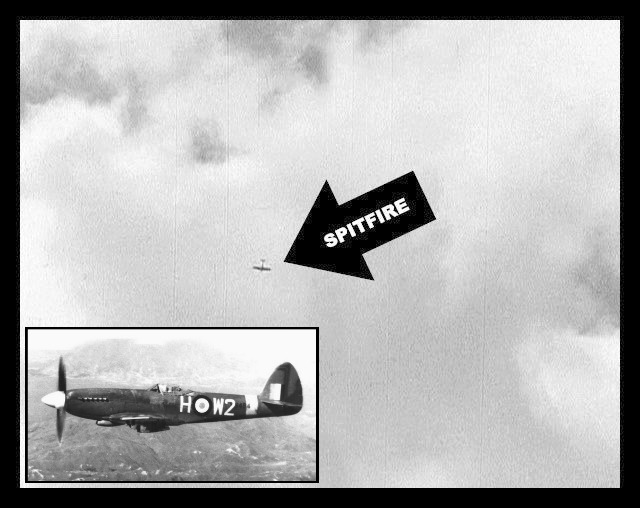 One of the Spitfire's most important contributions to Allied victory was as a photo reconnaissance aircraft from early 1941. Superior high altitude performance rendered it all but immune from interception, and the fuel tanks that replaced wing mounted machine guns and ammunition bays gave it sufficient range to probe western Germany from British bases. In late 1943 Spitfires powered by Rolls-Royce Griffon engines developing as much as 2,050 horsepower began entering service. Capable of top speeds of 440 miles per hour and ceilings of 40,000 feet, they were used to shoot down V-1 buzz bombs. 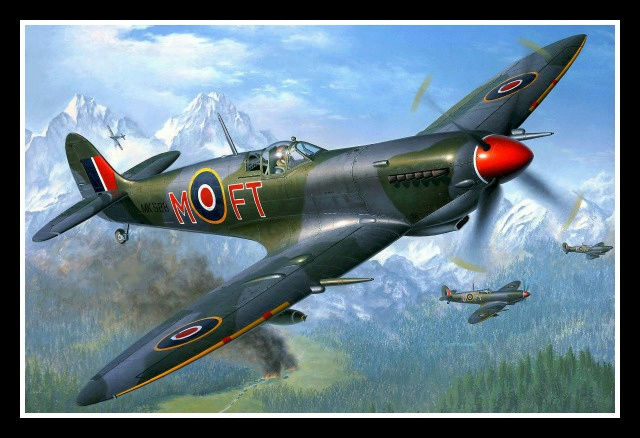 During World War Two, Spitfires were exported in small numbers to Portugal, Turkey, and the Soviet Union, and they were flown by the United States Army Air Force in Europe. When production ceased in 1947, a staggering 20,334 Spitfires had been produced, 2,053 of them Griffon powered versions. 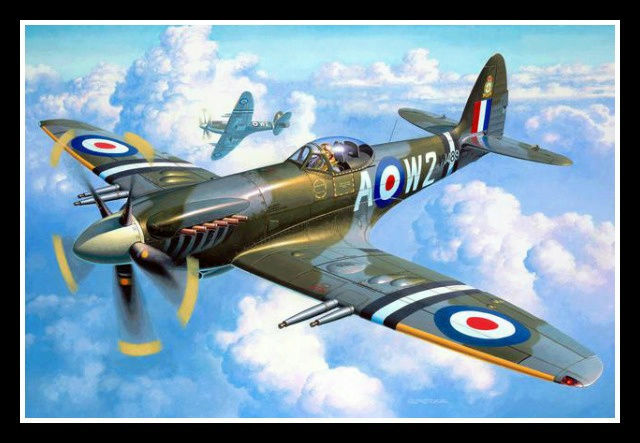 Fighter versions of the Spitfire were dropped from RAF service during the early 1950's, while photo reconnaissance Spitfires continued in service until 1954.